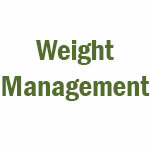 Weight Management : Is Activating Brown Fat the Key to Weight Loss? Not all fat in the human body is the same. One of the major differentiators is based upon the concentration of mitochondria -- the energy producing compartments of cells. When there are a lot of mitochondria in fatty tissue, it looks brown, and when there are few mitochondria in fat cells the fat appears white or pale yellow. Most fat in adults is white fat, consisting of fat stored as triglycerides in a single compartment. In contrast, brown fat cells contain multiple fat storage compartments. The triglycerides are localized in smaller droplets surrounding numerous mitochondria. An extensive blood vessel network and the density of the mitochondria not only give the tissue its brown appearance, it also increases its capacity to burn fat and give off heat. Brown fat does not metabolize fatty acids to ATP (chemical energy) in an easy manner. This inefficiency results in increased heat production. Brown fat plays a major role in diet-induced thermogenesis (heat production). A major physiologic difference between obese and thin people is how much of the food consumed is converted immediately to heat. This process is known as diet-induced thermogenesis. Researchers have found that in lean individuals a meal may stimulate up to a 40 percent increase in diet-induced thermogenesis. In contrast, overweight individuals often display only a 10 percent or less increase. In overweight individuals the food energy is stored, instead of being converted to heat like it is in lean individuals. A major factor for the decreased thermogenesis in overweight people is sensitivity to the hormone insulin, but the amount of brown fat is also an important factor. Some theories suggest that lean people have a higher ratio of brown-to-white fat than overweight individuals. Evidence supports this theory. The amount of brown fat in modern humans is extremely small (estimates are 0.5 percent to 5 percent of total body weight), but because of its profound effect on diet-induced thermogenesis, as little as 1 ounce of brown fat in a person’s body, could make the difference between maintaining body weight or putting on an extra 10 pounds a year. In animal studies, surgical implantation of brown fat stores leads to effective weight loss in models of obesity suggesting a possible surgical treatment of obesity in humans. There is a great deal of research on the role of brown fat in obesity and diabetes in animals. Human data is relatively scarce. To investigate whether brown fat activation alters whole-body blood sugar control and insulin sensitivity in humans, researchers at the University of Texas studied 7 brown fat positive (BAT+) men and 5 brown fat negative (BAT-) men under room temperature conditions and after prolonged (5-8 hours) cold exposure (CE). The two groups were similar in age, body mass index, and adiposity. Results showed that cold exposure significantly increased resting energy expenditure, whole-body blood sugar utilization, and insulin sensitivity in the BAT+ group only. Hence, these results support the effects noted in animal studies that brown fat plays a significant role in the development of obesity and diabetes in humans. This study is quite significant because it supports the notion that increasing the activity of brown fat may help people lose weight and/or control blood sugar levels. Emerging research shows that improving insulin sensitivity, exercise and various dietary compounds, like capsaicin from red peppers and gingerol from ginger, may activate brown fat. The research also indicates that even after weight loss has been achieved, individuals predisposed to obesity still have decreased diet-induced thermogenesis compared with lean individuals. So, it is going to be a lifelong battle for these folks. Therefore it is important to continue to support insulin sensitivity and proper metabolism indefinitely if weight loss is to be maintained.